We stayed in the Norwich City Holiday Inn, which was very convenient and great for families. We always find inter-connecting rooms useful, and the fact that Robert and I had separate beds was a bonus. The food was good, and everything was clean and tidy. It wasn’t luxurious, but it is a great budget choice for families, and it’s right next to Norwich City’s football stadium! Sarah says: We decided to start at our trip at the Museum of Norwich at Bridewell and were really impressed by this lovely, informative gem of a museum. The museum gives the story of this city (once England’s second in terms of importance), and taught us a lot, impressing all of us. It is bright and easy to navigate (it’s set out logically) and also very interactive, which appealed to the children. We loved looking around the Norwich Museum. Norwich’s story includes that of the “strangers” – Huguenots who were invited to come from the Netherlands in the 16th century in order to help the textile industry. Thirty families of master weavers came initially (soon followed by more) and made a huge contribution to the city’s fortunes. Norwich’s story is not only one of textiles and weaving, but also of mustard (Colman’s of course), plus football (we found out why Norwich City are called the Canaries), chocolate (Caleys and Rowntrees) and shoes (Norwich used to provide eight million pairs of shoes a year!). We were surprised by how much there was to see in this small museum and I was especially fascinated by its darker side, as it used to be a prison. The stories of some of those who spent time here were really sobering. The Museum is in Bridewell Alley, off Bedford Street and is open Tuesday to Saturday from 10 to 4.30am. It costs £5.20 for adults and £3.90 for children. You can also pop in for an hour for just £1 which seems a great idea to us. We loved visiting Norwich Castle! Robert, aged 10, writes: I really enjoyed exploring the medieval castle. We studied an array of interesting displays on the top floor and had fun taking part in some interactive activities on British History on the first floor. My favourite was an activity where you catapulted a rock and had to try and knock over a wall. The castle used to be a prison and there was a very interesting display about this, including stories of criminals and even a prison cell. The second floor was my favourite though. When we went there was an exhibition on dragons and the How To Train Your Dragon books so there were loads of things to do on that topic. They included listening to books being read out and arts and crafts. I created my own mini dragon. Jess says: Norwich Cathedral is one of the most complete major Romanesque buildings in Europe, and has the second tallest spire and largest monastic cloisters in England. It was absolutely beautiful, and we walked around for about half an hour. There are guided tours around the 900 year -old Cathedral but we did not take one, preferring to walk around at a leisurely pace. The Cathedral was absolutely beautiful. We really enjoyed reading the inscriptions on the walls and tombstones, and reading the memorials. We also thought the staff were extremely friendly.The Cathedral is free to enter, although they do ask for donations. Robert says: I loved going to the Sainsbury’s Centre for Art as it displayed a large assortment of intricate sculptures and detailed painting that had been made over the years. I was stunned by the art and felt so relaxed when I drew some of my favourites on a piece of paper I was given, as it was so quiet and calm. The building itself was enormous; you could go outside and walk around the giant plot of land surrounding the gallery which had a starring role in the second Avengers movie. I really enjoyed going there and it was the highlight of my trip. Sarah writes: Norwich was a lovely city to walk around and we really enjoyed the combination of the old and new side. There are lovely cobbled streets to walk along and small, independent shops and galleries in the Lanes and the medieval quarter, but there are also all the high street favourites, and it’s so convenient to walk everywhere! Don’t miss the huge market, which is right in the centre, and which is full of all sorts of different stalls (from food to clothes). Norwich was full of lovely shops. We especially enjoyed the fantastic food at the Macarons and More shop in the Royal Arcade (look at their website for some amazing pictures!) and had a terrific lunch at the Britons Arms, which is set in a 15th century building – and which featured in the film Stardust. We had hoped to visit the Strangers’ Hall, which has been a home to merchants and mayors in Norwich since 1320, but unfortunately it was closed, so definitely check up on its opening times if you’re interested in a visit. Jess writes: We had a lovely time in Norwich – the castle was beautiful, the museum was fascinating, and I loved my cinnamon pretzel, massive pistachio macaroon, and my raspberry meringue pavlova. Norwich is full of scrumptious food, which was one of the reasons that it is perfect for families. Norwich is full of so many things to see and do, and we would love to go back and see them all. We have been to the cathedral before a few years ago when on holiday that way. We really loved it there. Looks like there is loads to do and see – I have never been to that part of the country, but I would really like to visit one day. What a great guide to Norwich – I visited briefly ages ago, and remember finding so much more to do there than I’d expected. And that’s without half the things on your list as well. I don’t think I’d realised quite how important a town it had been historically either. Definitely one which deserves another visit from me. What a great post. I love how you have used everyone’s perspective. I have never been to Norwich despite my brother living there. I will have to rectify that. Yes, you really should! You have no excuse not to go! I’ve never been to Norwich but it sounds like a great place to visit. The museum in particular seems full of interesting stories and artefacts. What a lovely combined view post! Love that your children had an involvement in writing this! I write for my mummy too 😉 Norwich Castle looks very grand! We’d love to visit this part of the country! It’s great to get the family involved isn’t it?! We’ve never been to Norwich or anywhere in Norfolk but it is on our list of places to visit and it looks great, my son would love the How to Train Your Dragon exhibition, he loves the books. It looks like you had lots of fun and saw plenty, oh and the food sounds delish. Such good food, you’re right! And everything was very family-friendly. Thanks very much for your comment. What a great trip. I really like Holiday Inns, I think they’re a great chain. And what a lot you packed in – love the look of Norwich Caste, so unique looking. aww wow it looks like there is a lot of fab and fun things to do there!! Looks like a wonderful half term break with lots of fun activities and sight seeing. I’ve never been to Norwich which is quite shocking really as my great grandfather came from Norfolk. I really must put it on my list of places to go. My parents have been several times as my Mum has visited all the places our family came from. Some might call it the home of football Mark…. We’ve never been to Norwich so didn’t realise there was so much to do there! Great round up featuring everyone’s perspective – looks like there was a lot of half term fun to be had! Enjoyed this post, great how you involved everyone’s ideas very important when you travel with family! Norwich sounds like an interesting city. Yet another one to add to my list! I’m sure many have already said this several times, but I love how you include your children to write and share their experiences! 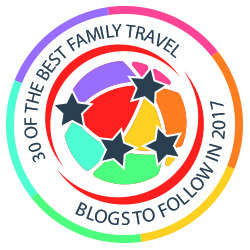 Usually, it’s the parent(s) who write it when it’s a family travel blog, but it’s great what you all doing! Norwich! That honestly wasn’t on my mind! Although I haven’t been to UK or anywhere in Europe yet, Norwich didn’t cross my mind. First thing comes to my mind is London, but I’m completely open to visiting different cities, including off the beaten path 🙂 It’s great that all of you had a great time in Norwich! Thank you very much. I love the children’s viewpoint too, and the way they make the videos! There are so many great cities to visit in the UK. As we live here, we love to try to get to as many as possible. When you come, do come to London first, but then you should add some more unusual places to your list! Natalie Tanner over at http://www.theeducationaltourist.com just wrote a post about the benefits of travel to education. Your post is the perfect example! Never too early to get the kids describing the world around them. I think we all benefit from being exposed to history, culture, different foods and languages and more! What a great post! Love hearing from the whole family and seeing all the photos of the places and faces. Thanks for sharing! It looks like a great place to visit with lots to do. We have never been before. Wow Norwich appears to be a complete family travel destination and I love the fact you have portrayed it from everyone’s perspective. History is so entertaining ( atleast I find it very intriguing) and seems like Robert loves it too. Are 2 days good enough to explore Norwich?? I think so, though three would be even better, as the Sainsbury Centre, which is well worth a visit, is not in the centre of the city. Sounds like there is a lot to see and do at Norwich. Would love to explore the castle. Side note, I think it’s great you include your kids perspectives and thoughts, really neat! This sounds like a wonderful place to discover! I love the personal account from each kid. It really was fun – and very easy to get around too. What a great video from your son! I love the look of that museum, love all the old signs and packaging. Definitely a place I would love to visit. Norwich isn’t that far from me but I’ve only been once. Need a return trip, particularly for the food recommendations! Oh I haven’t been to Norwich in ages, must go there again soon! Sarah I love that your blog transports me to places I know nothing about! Thank you very much – that’s so lovely! Who knew there was so much to do in Norwich? My kids would love the Train your Dragon exhibition and I’d like the art gallery. We’d have to fight over schedule! Or stay longer? I think we could have easily done an extra day, but lovely for a short break! Norwich is really a fantastic place to be, seems you all three enjoyed a lot. A London friend of mine grew up in Norwich and she rates it as a good place to bring up children. I particularly like the sound of the How to Train your Dragon exhibition – and the pavlova!